Herbal tea is good for you and Stash Wild Raspberry Hibiscus Herbal Tea has a great taste that should be shared. Herbal tea is good for you and Hibiscus Tea has a great taste that should be shared. If you’ve never tried this fragrant tea then you are missing out on a truly natural full flavored specialty tea. Once steeped, this variety of herbal tea is described as having a slightly sweet and fruity taste aroma that combines with a sweet and tangy flavor that you’ll enjoy the moment your nose smells the scent coming from the tea bags. 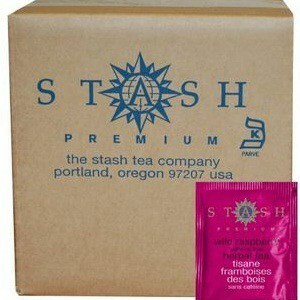 When the Stash Tea Company created this package of one-hundred tea bags in a box, it was likely meant for bulk purchase for those in the food service industry. With the popularity of this Wild Raspberry Hibiscus variety, the box quickly became one of many tea gifts given during the holiday season. It’s also perfect for any other special occasion for the tea lover in your life. This herbal tea is caffeine-free and is perfect for any time of the day and any time of the year. It is also tasty when served iced as the sweetness already produced by the raspberries and hibiscus in the tea bags means there is no need to add extra sugar. This particular blend of herbal tea is produced in the United States utilizing various natural ingredients from locations all over the globe. The quality of the product and the taste of the raspberry and hibiscus tea are great. The fact that the box contains one-hundred individually packaged tea bags – in what Stash called “frustration free packaging” – makes this box not only a great tea gift to give to a special someone, it also ensures that no matter what the occasion there will be plenty to go around. Many people carry a few tea bags in their handbag or leave some at the office; allowing for the sweet tasting tea to be consumed whenever they are in need of a great caffeine herbal tea. For some people the steeped tea may be too weak for their taste, while there are just as many who say the hibiscus tea is strong enough. 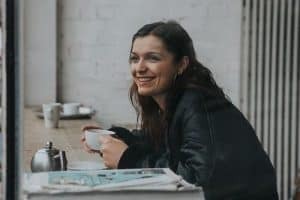 When it comes to something that should be enjoyed leisurely like a cup of herbal tea, it is clearly a personal choice when it comes to what is considered the perfect cup. Regardless, all reviewers agree that weak or strong, the combination of wild raspberries and hibiscus produces a very special tea product. The Stash Tea Company was founded in 1972 and was originally supplying natural food stores with an inventory of loose herbal teas and bulk herbs. In 1975 the company moved into bagged teas that they were selling with traditional, specialty and herbal teas available. They were selling directly to restaurants and also had a great deal of business from non-commercial customers who purchased their products through a mail order catalog. The company expanded and kept growing to where the Stash Tea Company is now one of the largest specialty tea companies in the US. Because of their focus on specialty tea products, Stash has produced a number of unique herbal tea combinations. The Wild Raspberry Hibiscus Tea variety is one of them. Packaged in a box of one-hundred individually wrapped, single-use tea bags, this product has gained a great deal of popularity as a tea gift. Online reviews of this specific herbal tea rate it high on quality, aroma and taste. The packaging is also a hit with users who can share their ‘stash’ with a number of friends. I have found their range of teas has been the perfect gift to give to my pregnant friends who opt for healthier beverages when carrying their child. The sweet taste of this particular Hibiscus Tea has always been well received and is the perfect tea gift to give to someone who has a ‘sweet tooth’. If you are a fan of caffeine-free herbal tea and want to try something that tastes a bit sweeter with a fruity flavor, then this Hibiscus Tea will be sure to please; and will have you coming back for more and adding this blend to your list of favorite fruit herbal teas. Check out Stash Wild Raspberry Hibiscus Herbal Tea on Amazon.